Archie Norman is one of Britain’s leading businessmen with a long term track record of business change and value creation. He has led transformations of major British businesses in the UK and abroad, served on the Boards of several others, and built strong management teams who are now in leading positions in several major British companies. Archie has also served as a Member of Parliament for eight years and worked at the highest level in British politics. Archie was a member of a three strong team that established and built Kingfisher plc in the 1980s to become Britain’s leading general merchandise retailer. In 1991 he took over as Chief Executive of Asda. Over the subsequent eight years the business was transformed into the second largest supermarket group before being sold to Wal-Mart for an eight times multiple of the starting share price. In 2002, Archie acquired Energis, Britain’s third largest telecoms business, on behalf of the creditor banks and over four years refocused and rebuilt the business before agreeing a sale to Cable and Wireless for double the original enterprise value. In November 2007 he was appointed Deputy Chairman of Coles Group, the second largest retailer in Australia, and has lead the strategy and recruitment of a world class team for probably (at the time) the largest turnaround project in global retailing. Since that time Coles has more than doubled its profits and outperformed its main rival for 60 consecutive months. He is an advisor to the Board of Wesfarmers Limited and a Director of Target Limited. Archie set up a management partnership, Aurigo Management Partners, which sought to acquire underperforming or unfashionable businesses. In June 2007 Aurigo acquired HSS, the UK’s second largest equipment hire business, on behalf of investors. It was sold in October 2012. 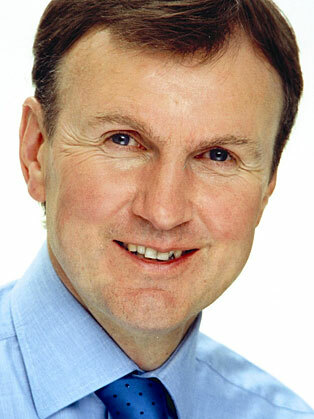 Archie took over as Chairman of ITV in January 2010 after the departure of Executive Chairman Michael Grade. He restructured the Board and recruited Adam Crozier as Chief Executive, and a new executive team, to lead a five year transformation plan. Since then, operating performance has improved and profit before tax has trebled. In 2013 he became Chairman of Lazard in London and sits on the Deputy Chairman’s Committee for Lazard worldwide. Archie has served as a non executive director on the Board of a number companies including British Rail, Railtrack and Geest. He was previously the youngest partner at McKinsey and Co and has an MBA from Harvard Business School and an MA from Cambridge University. He is on the Board of the NIESR, has Honorary Doctorates from York University and Leeds Metropolitan University, was a Director of the Judge Institute, has been elected to the Marketing Society Hall of Fame, and been voted Retailer of the Year and Yorkshire Businessman of the Year. In December 2010 he was awarded the Institute of Turnaround Professionals Lifetime Achievement Award.